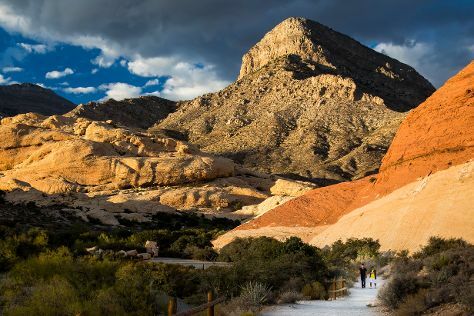 Attractions like Red Rock Canyon National Conservation Area and The Roller Coaster make great kid-friendly stops. When in Las Vegas, make a side trip to see Hoover Dam in Boulder City, approximately 50 minutes away. The adventure continues: ponder the design of Bellagio Fountains, buy something for everyone on your list at The Grand Canal Shoppes at The Venetian, take in panoramic vistas at Eiffel Tower Experience at Paris Las Vegas, and take in nature's colorful creations at Bellagio Conservatory & Botanical Gardens. To see traveler tips, more things to do, ratings, and more tourist information, read Las Vegas online day trip planner . In July in Las Vegas, expect temperatures between 104°F during the day and 81°F at night. Wrap up your sightseeing on the 7th (Sun) early enough to travel back home.